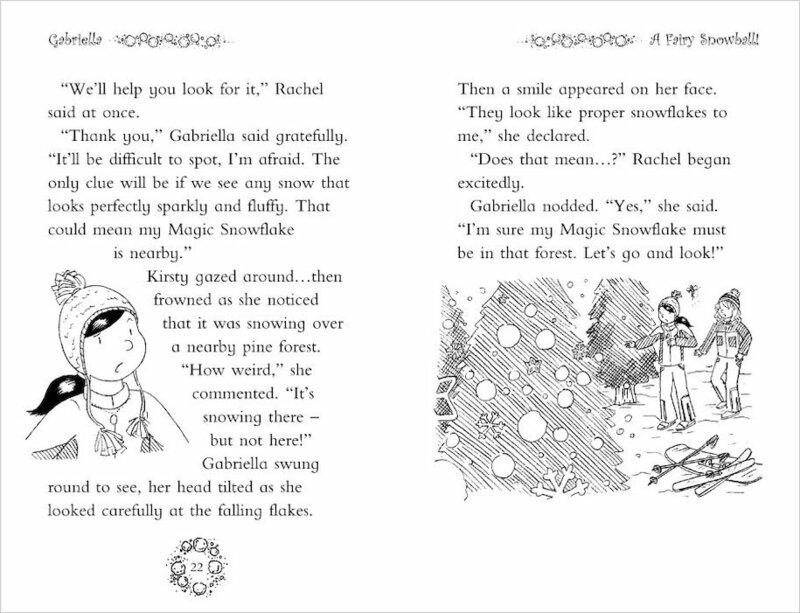 Gabriella the Snow Kingdom Fairy makes winter a cosy, sparkly time. All she needs to do it are her three magical objects: the Magic Snowflake, the Magic Firestone and the Festive Spirit. But now horrid Jack Frost and his goblins have stolen them! 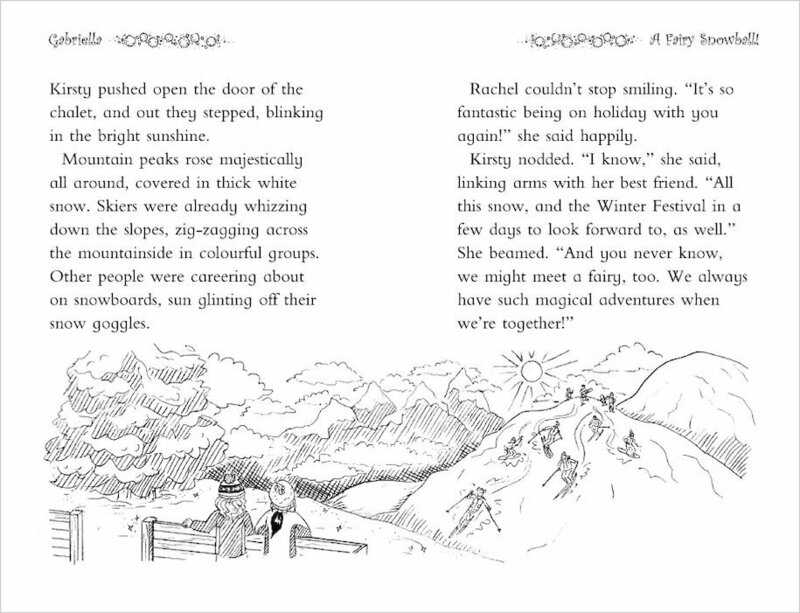 Can Kirsty and Rachel help Gabriella to find them before winter is ruined for everyone? 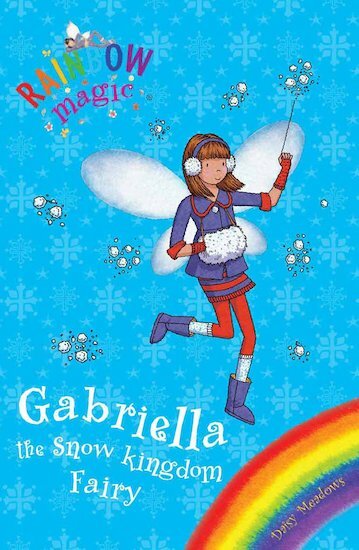 A snowy special from Rainbow Magic to get you glowing with festive cheer! I soooo want to read this book to see what adventure Rachel and Kirsty will have and I totally love her outfit isn’t it nice. Really Good! It is very interesting and is good to read.It’s best to read when it is snowing!!! THIS IS THE WORST BOOK EVER!!!!!! DO NOT READ THIS! THE AUTHOR IS MEAN! Gabriella lost her magic snowflake,festive chest, and the firestone. Can Kirsty,Rachel, and Gabriella find those magical items before the goblins do? it is really interesting and i really enjoyed it. This book was fantastic! Read it!